Have you seen The Avengers yet? Even if you have, you can continue to enjoy the mania with Avengers Origins, a new app that from Disney and Marvel that tells the tale of how the team came to be. Read all about how the Hulk, Captain America, Iron Man, Thor, Ant-Man and The Wasp got together in a digital comic that lets you play little games as you follow along with the story. 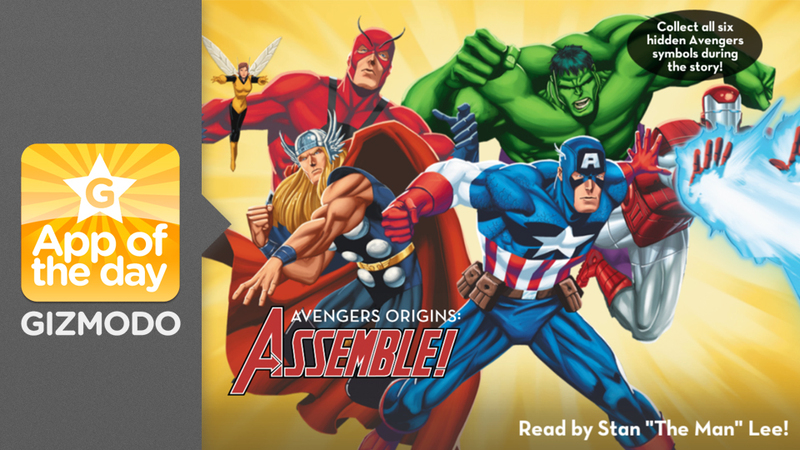 Read by Stan Lee, the comic is interactive, giving you different tasks to accomplish to help continue the plot. For example, you have to move your finger over a frozen Captain America to free him from a block of ice, so he can join the Avengers in taking on Namor. And if you want to continue to brush up on your Marvel Universe trivia, you can also buy a Hulk version of the Avengers Origins series.